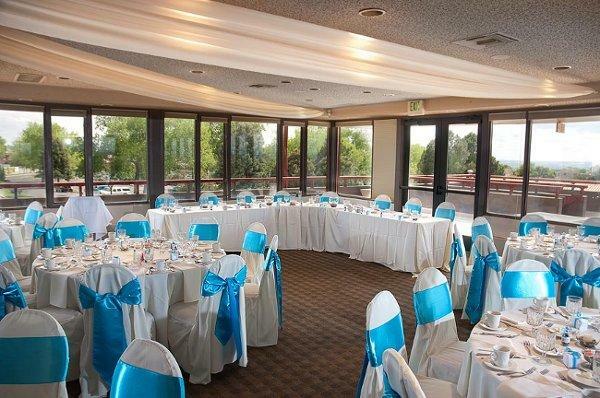 Rent Tanoan Country Club | Corporate Events | Wedding Locations, Event Spaces and Party Venues. Tanoan Country Club located in the northeast heights, the newly remodeled clubhouse with breathtaking views of the golf course, mountains and city lights offers a unique and welcoming venue to hold the wedding of your dreams. At Tanoan Country Club, we specialize in creating one-of-a-kind weddings and special events of all sizes and types that reflect your personal style and create memories to last a lifetime. From small, intimate business dinners and corporate meetings to weddings, holiday parties and golf tournament receptions, we offer unrivaled amenities and comprehensive event management services, all underscored by our signature personalized service.